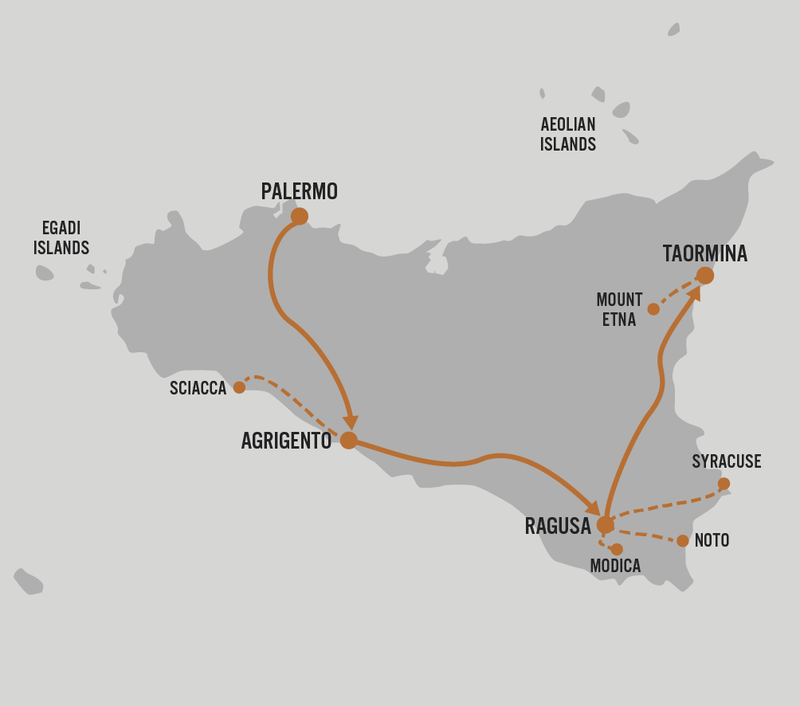 A luxury journey in Sicily, focused on the best spots of the island: a comprehensive itinerary from Palermo to Taormina, exploring the main sites and hidden gems and delighting yourself with fine tastings of the awesome food specialties and lovely local wines. Enjoy Palermo, home to some of Italy's most fascinating cultural gems as the largest opera house in Italy; explore lively local markets and the old Arab quarter and enjoy a private guided visit to the stunning cathedral in Monreale. Have an emotional experience in the ancient Agrigento and Valley of the Temples, an outstanding collection of well-preserved Hellenistic ruins and early Christian sites, one of the most significant archaeological sites in all the Mediterranean. You will never forget the fascinating spots of Sicily in Noto, Modica and Ragusa: let be enchanted by the superb examples of Baroque architecture of these cities! Fall in love with Syracuse: take your time for pleasant stroll in the center of Ortigia island and among the Greek theater, the Roman amphitheater and the ancient cathedral. Enjoy free time in the marvelous Taormina, a historic clifftop town overlooking the sea, renowned as high-class destination in Sicily!